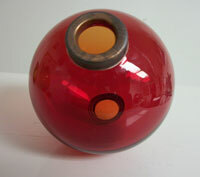 << Back 2-HEXAGONAL WINDOW CUPOLA LEXAN WINDOWS. 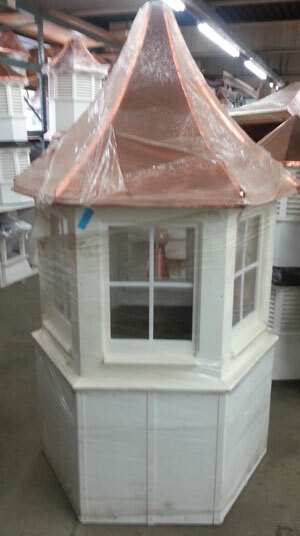 BEAUTIFUL VINYL WINDOW CUPOLA,WITH STANDING SEAM PAGODA STYLE ROOF.WEATHERVANE READY.42'' WIDE BY 78'' TALL.BASE SIZE 42''POINT TO PIONT ON THE HEX. 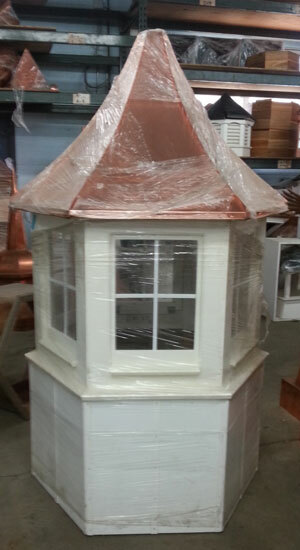 *****There are small nicks,blemishes in these two cupolas,they would be virtually unnoticeable when you install and clean them up.There is a five year warrantee on these cupolas.as they are extremely well made.The larger cupola is 88'' tall x 52'' wide. 2-HEXAGONAL WINDOW CUPOLA LEXAN WINDOWS.